Ross County’s Scottish League Cup semi-final victory over Celtic will this week be recognised by the Scottish Parliament. But the local MP has joked that when it comes to the final, he will be unable to lend his allegiance to his constituency team. Highlands and Islands Labour MSP Rhoda Grant has lodged a motion at Holyrood in the wake of County’s stunning 3-1 victory over Celtic at Hampden on Sunday. Mrs Grant said: “Ross County is a great community football club, from the supporters all the way through to the chairman and board. For them to have secured a final place for the first time in 100 years is a terrific achievement and puts the club and Dingwall firmly on the map. The success of the team filters through to the community at large and generates a feel-good factor, making them proud of their local football club. County recovered from the loss of an early Gary MacKay Steven goal to win 3-1. A Martin Woods penalty – after Celtic defender Efe Ambrose was sent off – levelled the tie, and second-half goals from Paul Quinn and Alex Schalk sent the Dingwall through to their first-ever league cup final. MSP Ian Blackford, meanwhile, admitted that the final on 13th March might leave him feeling a little conflicted. 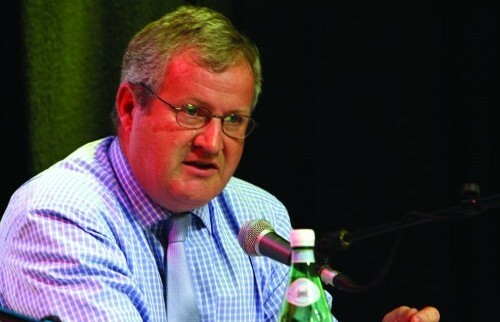 Mr Blackford is an avid Hibs supporter, although his constituency of Ross, Skye and Lochaber covers the Staggies’ heartland.